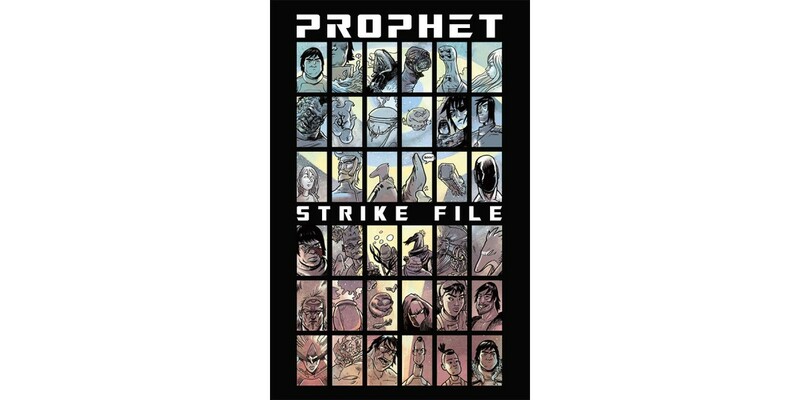 From Brandon Graham and Simon Roy, two of the masterminds behind the bestselling PROPHET, comes the essential supplemental series, PROPHET: STRIKEFILE, long awaited by fans and perfect for new readers to the series. A veritable who’s who of the PROPHET universe with a comic history of the Earth Empire and bio sheets—pulled from the deepest corners of the known universe—of space gods, aliens, and the distant worlds that contain them, PROPHET: STRIKEFILE #1 is a must-have and will also feature the work of Giannis Milonogiannis and more. PROPHET: STRIKEFILE #1 (Diamond Code MAR140508) arrives in stores on 8/27, and will be available for $3.99. The final order cutoff for retailers is 8/4.